LaCroix Sparkling Water has catapulted from near-oblivion to cult status in the matter of a couple years. The drink has been around for three decades, but for a long time, it was popular only among a handful of Midwestern mums, Vox reports. Then a paradigm shift happened in Americans’ diet: The country started turning against sugar, and in turn, soda sales plummeted. That’s when LaCroix — which contains no sugar, sodium, or artificial sweeteners — suddenly started popping up everywhere. Sales of the carbonated drink have ballooned from $65 million in 2010 to $226 million in 2015, according to data from Euromonitor. Over the same time period, shares of the brand’s parent company, National Beverage Corp., have soared nearly 300% to $57 per share. LaCroix is now the No. 1 brand of flavored bottled water in the US, with about a quarter of the market share in that category. 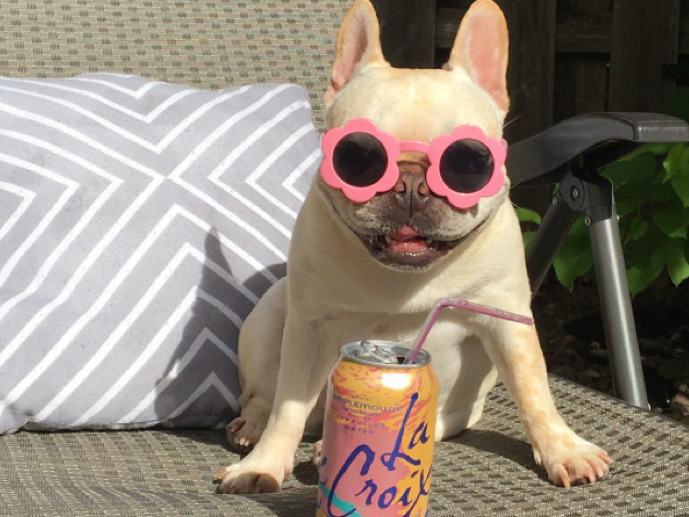 LaCroix’s meteoric rise happened without any traditional advertising — which is part of the reason why it became so popular, according to one beverage industry expert. “With millennials these days, it’s all about authenticity and discovery, and they are suspicious of mainstream advertising messages,” Duane Stanford, the editor of industry publication Beverage Digest, told Business Insider. LaCroix played right into that market by sidestepping major advertising avenues like TV ads and investing instead in social media marketing and neon-coloured packaging that would grab customers’ attention in stores. “Millennials see [LaCroix] as a discovery — something only they know about and their friends know about since it’s not in their face all the time,” Stanford said. It’s more than just a favourite drink, though: LaCroix has become a status symbol. That’s because instead of spending on major advertising campaigns, LaCroix paid influential bloggers and fitness icons to fawn over the drink on social media, according to Vox. At the same time, LaCroix started adding new flavours. The brand currently offers about 20 different kinds — up from the six it offered 10 years ago — including coconut, apricot, passionfruit, mango, pamplemousse, berry, and cerise limón. Now the neon cans are popping up all over Instagram, filling refrigerators top to bottom, making appearances at weddings, and accenting countless homemade salads. Only a handful of random flavours are available at each retailer that sells LaCroix, so it creates the perception of scarcity. As a result, customers tend to buy their favourite flavours in bulk. The strategy has clearly been successful. Over the last two years alone, sales of LaCroix have more than doubled. NOW WATCH: Chipotle vs. Subway: Which is the healthier option?